A group headed by an ex-Trump voter fraud commissioner that was sued over misleading reports it produced claiming to show mass non-citizen voter registration is taking its legal defense to a whole new level. In new court filings, the group is blaming state election officials for any inaccuracies in the reports, and is seeking to drag them into the litigation and saddle them with any liability for the group’s reports. The Public Interest Legal Foundation, whose president, J. Christian Adams, is also a defendant in the lawsuit, asked a court to make the Virginia Department of Elections a third-party defendant in the lawsuit. The Richmond chapter of the League of United Latin American Citizen is also a plaintiff in the lawsuit, which alleges voter intimidation as well. The individuals are all citizens, and the lawsuit alleges that PILF, in mischaracterizing voter roll data it obtained from local elections officials, made false and reckless accusations about those named in the reports. PILF had sought lists of people whose voter registrations were canceled on the basis of questions about their citizenship, but in many cases those cancellations were clerical errors, or reversed once the voter affirmed he or she was in fact a citizen. PILF’s initial attempt to get the lawsuit thrown out failed this month, when U.S. District Judge Liam O’Grady ruled in favor of letting the case proceed. PILF’s latest filing responds to the allegations made by LULAC and others, while asking the court to dismiss the case with prejudice. PILF denied the allegation in the complaint that the group was “informed” by Virginia election officials “that they were drawing false conclusions” from the data the group had received from them. “Defendants were never informed that any of the government records were inaccurate,” the filing said. 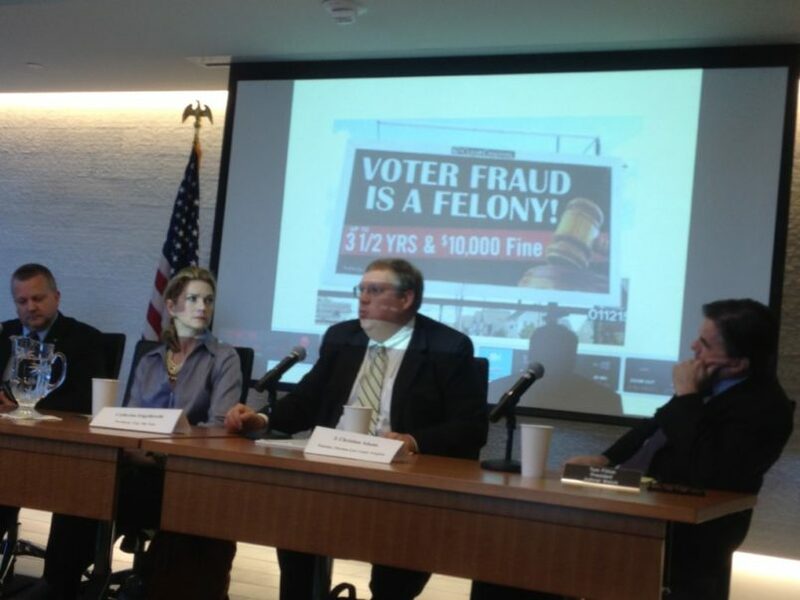 However, documents referenced in PILF’s own Alien Invasion II and included as ancillary exhibits, indicate that at the very least, the group was in possession of emails from election officials raising concerns about the accuracy of the voter roll data and how it might be misrepresented by the group. It’s not clear how PILF obtained that or other listserv emails — neither Adams nor PILF’s spokesperson responded to TPM’s inquiry seeking clarification — but Adams forwarded the email to PILF’s attorney the day after the elections director sent it to the listserv. That and other similar emails were released by PILF in May 2017 as part of Alien Invasion II report.